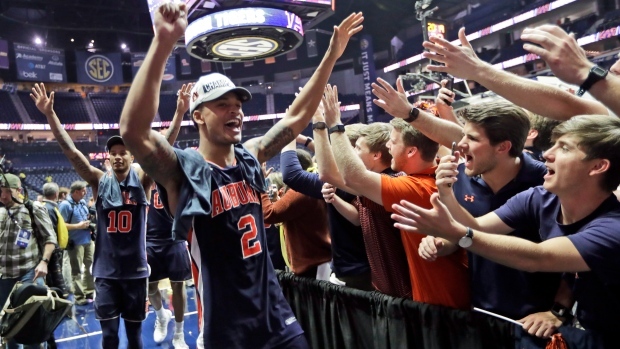 NASHVILLE, Tenn. -- The Auburn Tigers are taking home their first Southeastern Conference Tournament championship since 1985 and aren't satisfied. Lamonte' Turner led Tennessee with 24 points. Grant Williams, the two-time SEC player of the year, was held to 13. Jordan Bone had 11 and Jordan Bowdenscored 10.